It’s Chile’s Independence Day today and with a lot of partying last night the town is pretty much dead today with barely anything open. I felt a lot better today when I woke up and managed to eat a few crackers this morning. 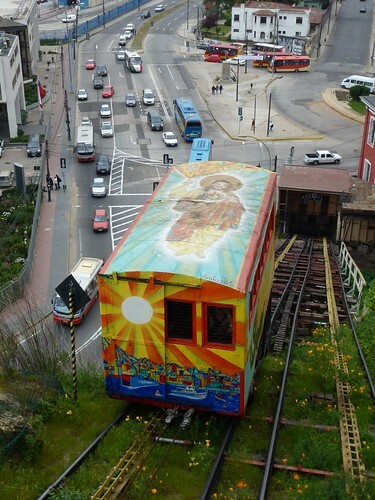 Having barely explored Valparaiso, I decided I was feeling well enough to head out for a walk. 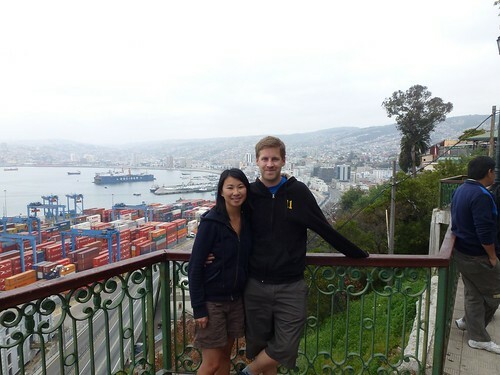 Valparaiso was dead but we managed to find a little corner shop that was open where I bought a couple of bananas to eat. I scoffed it down. I hadn’t realised how hungry I was. We headed towards the harbour and got a tram at the southern end of the bay to get a better view of the bay. When we got to the top, it was like all the locals had been hiding up here. 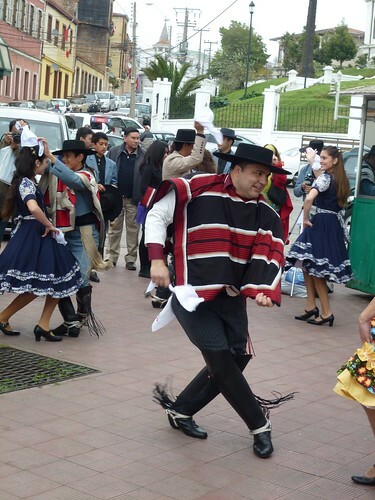 It was bustling with tourists and locals alike, singing and dancing, celebrating. After taking a few photos we headed back down and made some chicken congee. I still felt tired, after effects of the last few days I imagine. But you just have to get on with it and deal with it. It’s part and parcel with travelling! This entry was posted in Chile and tagged diarrhoea, mirador, viewpoint. Bookmark the permalink.